Learning self-control is just a normal part of growing up. We believe that it is our responsibility to help all children learn to resolve their own conflicts. We encourage them to use their words to let another child know how they feel. A teacher will gently guide the child through this process so that it is in the child’s power to resolve the situation, building on their abilities to interact socially. Most situations can be handled by redirecting a child to another, more appropriate activity. This approach is called positive redirection. Our discipline policy is for the purpose of learning and does not involve corporal or physical punishment. Our schedules are meant to be a guide and are flexible. While we keep the routine the same, times may vary depending on the interests of the children. We stay with an activity for as long as it works for the group. All activities are planned to accommodate the range of abilities and ages in a particular room. Videos are reserved for rare special occasions only. To get through this phase in development, teamwork is key. We’ll make every effort to coordinate our program with the one you start at home. We will not start any toilet training until you decide the time is right. (Many children will start around two years of age.) When you do decide to start the process, we will ask that you supply us with an ample amount of clothing for when accidents do happen. If your child has just started toilet training, he or she may still wear a diaper at rest time. After hours of exciting, educational, and fun activities your child needs rest. The State of Colorado mandates a rest time of at least one hour although most of our classrooms have two hours dedicated to rest and quiet time. We provide the cot and a sheet. We ask that you bring in a labeled blanket from home and wash it every week. Children are always learning. 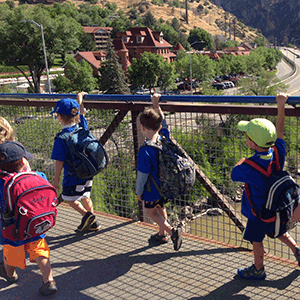 We consider the outdoors an extension of our classroom. Outdoor spaces and equipment are designed for active play and exploration to provide your child with good exercise, fresh air, and different learning activities. Even when we head outside, supervision is a top priority. Please note that sunscreen must be authorized by a parent. Although we do try to get kids outside on a daily basis, we use caution with extreme weather and temperatures. We will typically stay indoors if the weather is below 20 degrees or hotter than 95 degrees. Often times each class is able to utilize the music and movement room for gross motor play when we are unable to get outside. 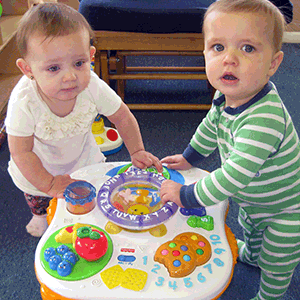 At Blue Lake Preschool, your child will be playing with fun, educational toys every day. Therefore, we ask you to keep your child’s toys or personal items, including money, at home for fear of loss or breakage. Occasionally there are show and tell and sharing times that when your child can bring in an item as long as it is safe and it is labeled with his or her name. If your child is missing an item, please notify us immediately. Although we’ll be more than happy to look, we cannot be held responsible for lost or damaged items. Items that pose a real or imaginary danger to other children are not allowed at school at any time. We also require that toy guns, swords, and action toys and figures be left at home as they may promote aggressive behavior. Throughout the year (and almost daily in the summer) we plan field trips for the older classes and invite specialists into the school for younger classes. Trips have included adventures to the Aspen Center for Environmental Studies in Aspen, the Carbondale Library, local pools, and other local parks in the valley. School visits include a weekly music class, visits from ACES, the Roaring Fork Conservatory, and CARE just to name a few. We take our buses or RFTA buses to these destinations, and often for the kids, the bus trip is as exciting as the destination! For all trips, parents will be asked to sign a permission slip to keep on file. All field trips will be posted ahead of time to enable parents to prepare. If a child arrives after their group has left the school, the parent may bring the child to the location of the group. In case of an emergency teachers will administer first aid and will immediately call for assistance. Teachers carry cell-phones for this reason. Many of these activities require an additional, nominal fee which will be charged to your account. We post notices to announce this and post the schedule for these visits in our monthly newsletter. If you want your child to join these trips, and are concerned about the extra costs, please contact the director.